Now offering freshman direct admission to nursing. 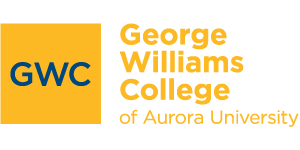 Contact the Office of Admission with questions at 262-245-8564 or gwcadmission@aurora.edu. The Bachelor of Science in Nursing program at GWC combines a strong foundation in the sciences with professional training and meaningful clinical experiences. With small class sizes —a 1:32 faculty-student ratio in classes and a 1:8 ratio in clinical practicum — you’ll get personal attention from dedicated faculty. Many of our students participate with faculty members in regional and national research conferences and nursing symposia. And, through your extensive clinical experiences built into your coursework, you’ll learn in real-world situations alongside practicing health care professionals. To earn an undergraduate degree in nursing, students complete 120 semester hours in general education and nursing courses. You will complete core science, math and general education courses during the first two years of the program, with professional nursing and clinical courses during the third and fourth years. When you graduate from the BSN program, you will be prepared to enter the workforce as a baccalaureate-trained nurse, a highly sought position in hospitals and other care facilities. Our graduates have a high rate of success on the National Council Licensure Examination for Registered Nurses (NCLEX-RN). In 2016, 97% of our graduates who were enrolled at AU's main campus passed the NCLEX on their first attempt. The baccalaureate degree program in nursing and master's degree program in nursing at Aurora University is accredited by the Commission on Collegiate Nursing Education, 655 K Street, NW, Suite 750, Washington, DC 20001, 202-887-6791.